DragoTack Tape is a critical component to the Drago Wrap Vapor Intrusion Barrier System. This solvent-resistant, double-sided adhesive strip is used to bond and seal Drago Wrap to concrete, masonry, wood, metal, and other surfaces. With a flexible and moldable substrate, DragoTack Tape can be used in a variety of applications and installations. 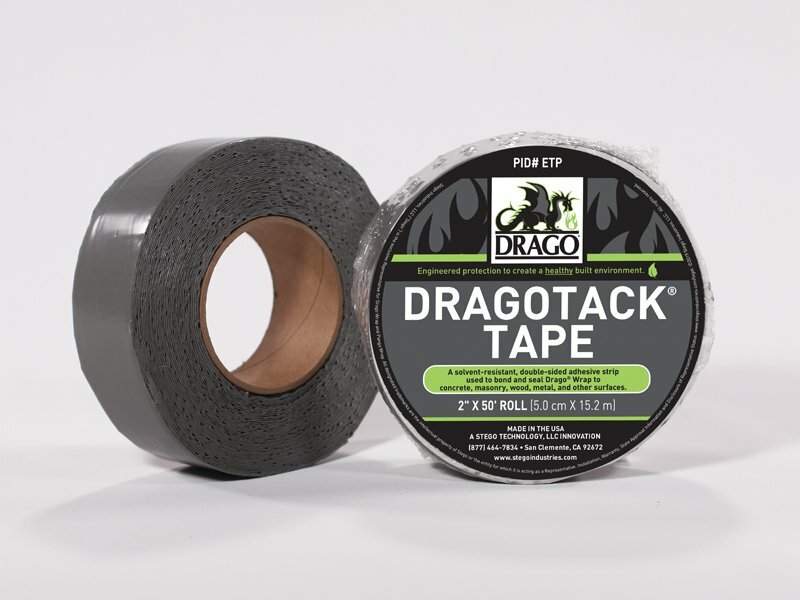 DragoTack Tape has both great initial tack and long-term adhesion, allowing this double-sided adhesive strip to effectively secure terminating edges of Drago Wrap.